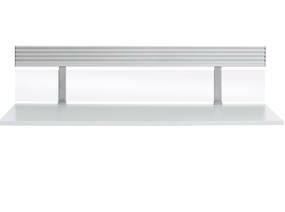 Partito Rail can support heavy objects, such as binders and flat screen arms. 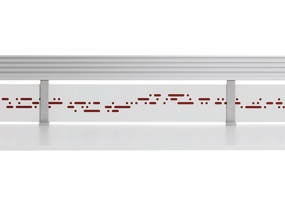 It is transversal and can be easily installed on any desk with a top thickness between 19 to 30mm. 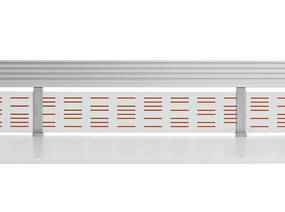 Thanks to Partito Rail and Shelf, users can make better use of vertical space. 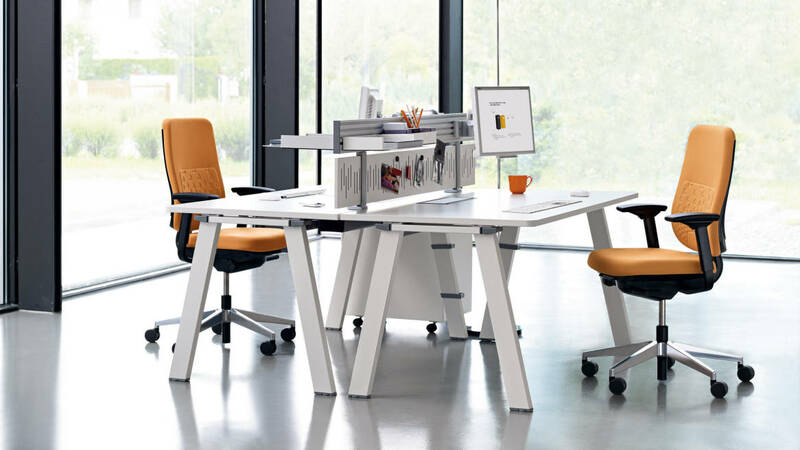 They enhance organisation while creating a balance between privacy and collaboration. It’s a time saving and efficient storage solution for the user: everything close at hand. 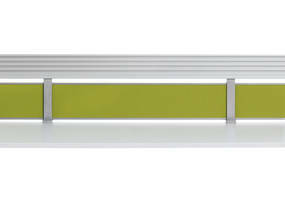 Partito Rail offers a huge choice of finishes and colours. 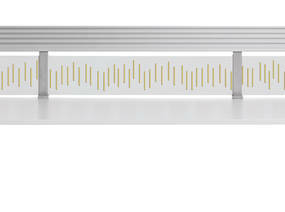 In combination with the 1+1 Organisation Tools, the user can personalise his or her desk. 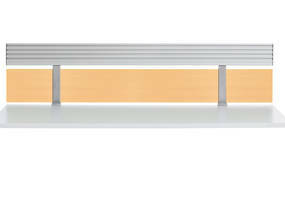 Partito Rail and Partito Shelf help to make better use of vertical free space and increase the workstation area. They create virtual boundaries between users without isolating. Thanks to different types of infills, users can personalise their own workplace. The smart infills are available in different materials: fabric infills are magnetic and pinnable, and perforated metal slots allow users to display cards or mementos. Compatible with 1+1 Organisation tools, Partito Rail and Partito Shelf are structural enough to hold several tools such as heavy binders and flat screen arms (up to 40 kg in total). 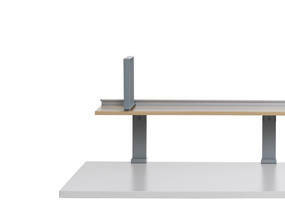 The Partito Rail can be used on any desk thanks to universal C-clamps.